The city of Destin, in the beautiful sunny state of Florida, is a must-see and must-visit vacation spot for visitors looking towards a relaxing coastal getaway from the hectic big city life. Located in the north-west of Florida, the town may have missed the radar of quite a few holidaymakers, primarily due to its size. 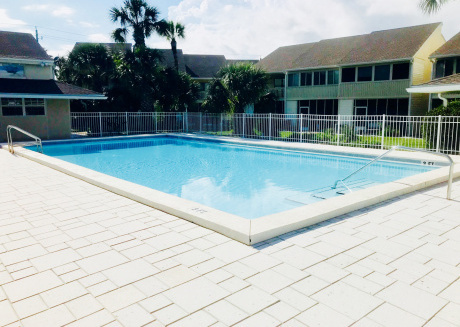 The small beach town has it all, shimmering white beaches, plentiful golf parks, and an internationally renowned fishing culture, in addition to the ample number of vacation rentals in Destin. Its presence on the famous emerald coast has made it an irresistible spot for tourists not only from America but all over the globe. The roots of Destin could be traced back to the Native American inhabitation, with the land being used for mainly agriculture. The city is named after Leonard Destin, a fishing captain hailing from Connecticut, who settled in this area in the late 1840’s. Due to the Captain’s arrival and abundance of aquatic life the city was then associated with fishing. In the 1970’s, the city got its first upgrade in the form of apartment buildings. Ever since the 80’s, the city has experienced a boom in growth, owing to the lush natural features which have made it what it’s today. If you’re planning on visiting Destin, here are just a few things that you should know. Fishing and seafood are the city's primary focus. There’s no question to the large number of beachfront restaurants and bars close to hotels and vacation rentals in Destin. There is something that’s calming about having a meal or enjoying a good drink, overlooking the emerald green coast and clear blue sky, feeling the cool sea wind blow over and through your hair, soothing you all over, as you savor the moment. For such an experience, head on over to The Back Porch, a lively seaside joint where you can enjoy mouthwatering seafood and drinks while taking in the amazing views of the beach. This place is a must-visit if you’re into dining by the beach. There is no shortage of restaurants inland too. McGuire's Irish Pub is one famous award-winning joint acclaimed by locals and tourists alike. It offers a cozy setting to enjoy a drink or have a feast as they have a wide selection of dishes including seafood and “land”-food. Dewey Destin's Seafood Restaurant is another good place known for fresh seafood and a casual experience. If you are looking for the beach vibes with a slight hint of the bayou, then the Fudpuckers Beachside Bar and Grill is the place to visit. The place is not only a seafood lover’s dream but also offers live shows with alligators! It is also a place to try out alligator meat if you fancy and is an absolute fiesta. The city is also host to a number of fishing-related events that happen around the year. Every year in October, the Destin Fishing Rodeo attracts anglers and fishermen to this city and has ever since 1948. October seems to be the ideal time as another event, the Destin Seafood Festival takes place where fresh seafood and local art enthusiasts come together for the time of their lives. 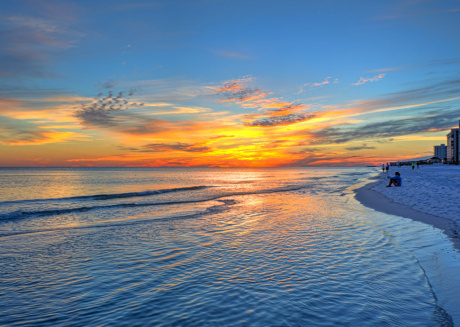 As Destin is a coastal city, the emerald green waters and stunning white beaches are undoubtedly the main attraction. The beaches are accessible from 12 spots across the city and draw in more than 4 million visitors each year. The local municipality has even designated spots like the Henderson Beach State Park, James Lee Park, and Okaloosa Day-Use Area to be the best recreation areas in the city. These places are some of the best you’ll ever visit and are adequately spaced from the vacation rentals in Destin as well. Destin is also home to a variety of attractions which are sure to give you a wonderful time whether you’re alone or with family. One of the attractions the city has to offer is the world-class fishing experience. It is as simple as chartering a boat, prepping the bait and you’re all set. The open, clear waters also offer experiences like snorkeling, scuba diving, parasailing, kayaking and much more. For fans of wildlife, the Florida Gulfarium is the place to be. The Gulfarium is host to a number of fun activities, but the most popular are the live shows. You might have heard of Dolphin shows elsewhere but the Gulfarium also has a Sea lion show. Not only is the show entertaining for kids but afterward, the place also offers interactive sessions with the star performers themselves. These sessions allow visitors to feed and pet the Dolphins, and also allow you a one-on-one experience by getting in the pool with them. As Destin has a high number of local and international visitors, there are quite a few options when it comes to accommodation. 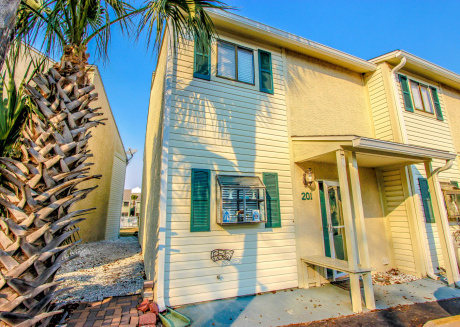 It doesn’t matter if you’re holidaying with your family, out on your honeymoon or are just looking for a coastal getaway, you will find no shortage of vacation rentals in Destin. There are various options available depending on pricing, amenities and so on. You may want to get a place which is close to the attraction you’re going to be seeing but do keep in mind that you may have to book a bit earlier to avoid scheduling conflicts later on. If you fancy a little golfing action then be sure to check out the Sandestin Golf and Beach Resort. 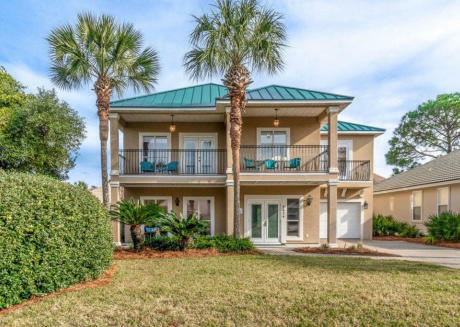 The resort is among the best vacation rentals in Destin and based on 2,400 acres of land, offering a spacious and comprehensive golfing and living experience. Not only can you enjoy golf, but you can also go paddle boarding, fishing or hit the spa. 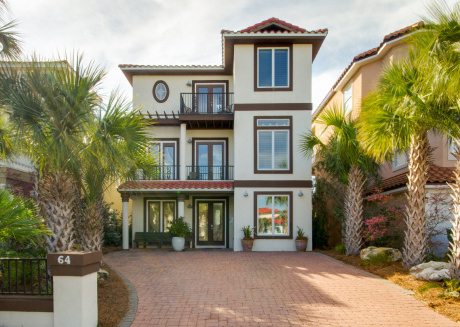 There are a variety of vacation rentals in Destin, starting from condos and penthouses to homes and villas offering luxury and scenic views of the beach, bay, and lake. We at CuddlyNest, aim to make our customers accommodations as swift as possible. If you’re looking for a comfortable place away from the bustle, whether it’s an apartment and condo, or just want to unwind at a beachfront house, we have it all. It’s simple, just book where you want to stay and the duration via our vacation rental platform, www.cuddlynest.com and we’ll handle the rest.